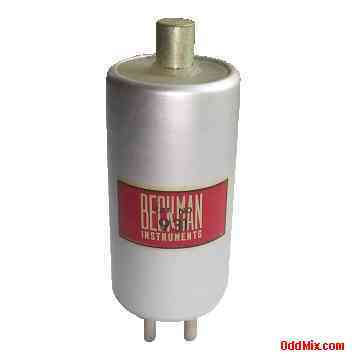 This is an original 931 Beckman Electrometer Tetrode replacement tube originally a Sylvania 1229 derivative based on the Type 32 vacuum tube and selected for lowest grid current with additional shielding added. This is a rare, hard to find, classic four pin tube. It is useful in many older instruments, special circuits, VTVMs, old time receivers, transmitters and transcievers. Useful for antique radio, instrument restoration projects or to set up a private vacuum tube museum.